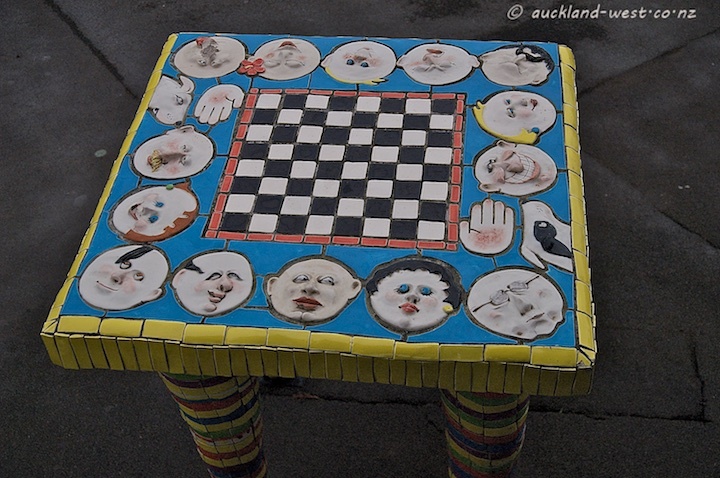 This chess table and sofa in Onehunga Mall are by Karen Kennedy, made from ferrocement with handmade tiles. 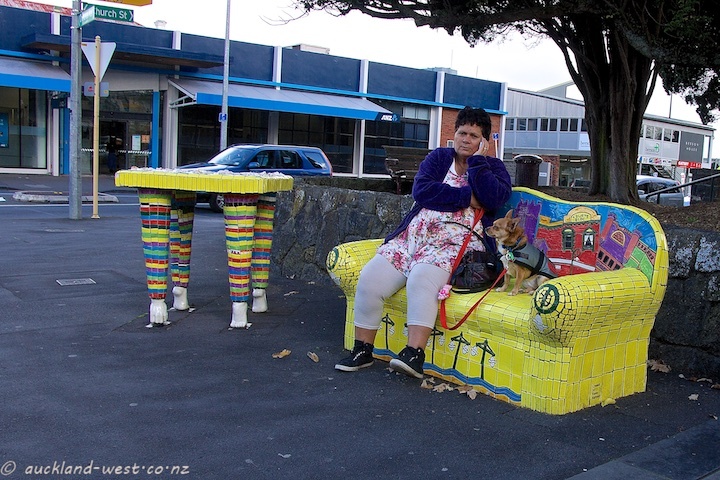 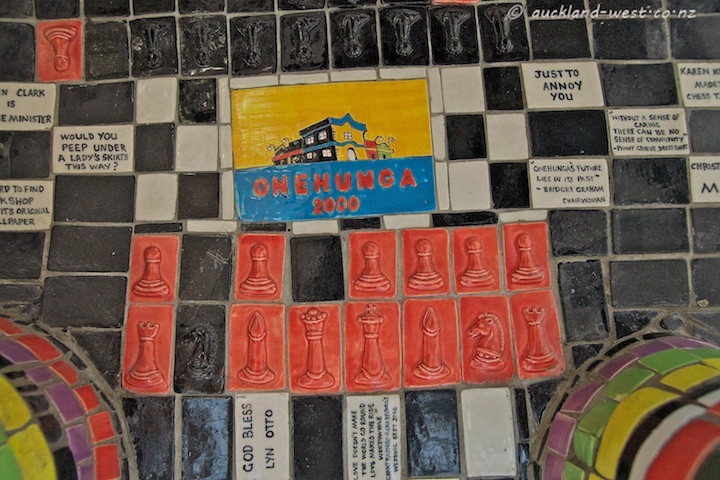 The seat shows some of the buildings along Onehunga Mall in a whimsical way. 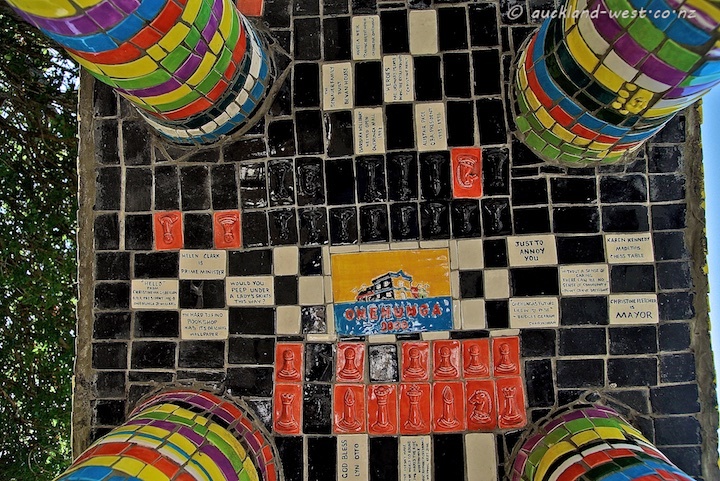 The underside of the table contains some historical references (“Christine Fletcher is mayor”) and frivolities (“Would you peep under a lady’s skirts this way?”), together with chess pieces and other wisdom. 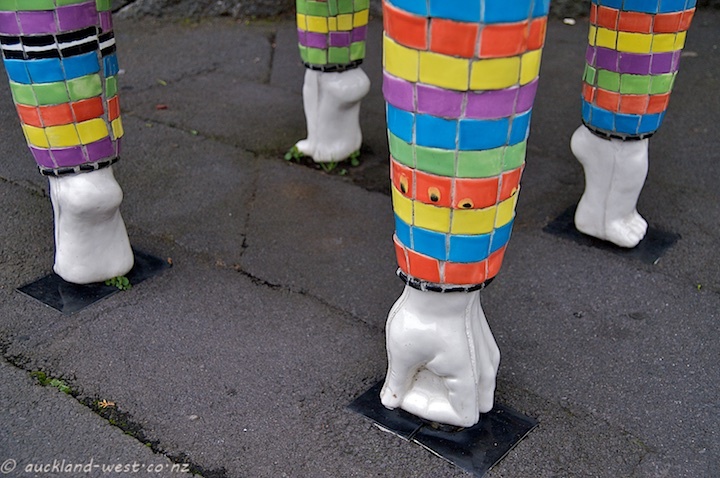 Colourful, but certainly not comfortable!